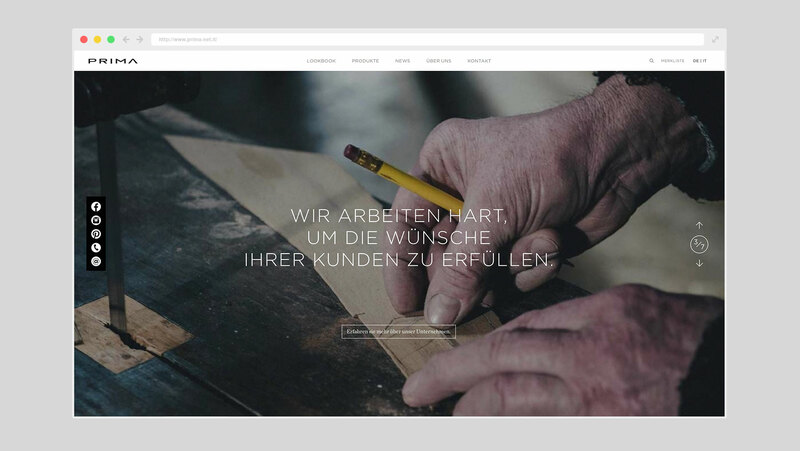 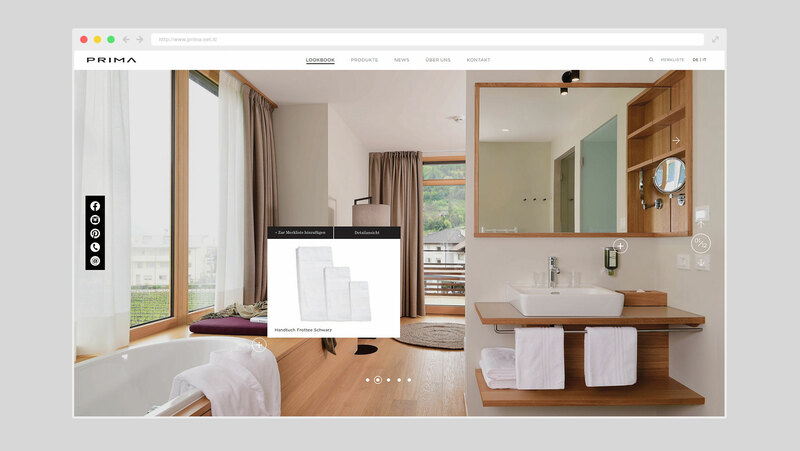 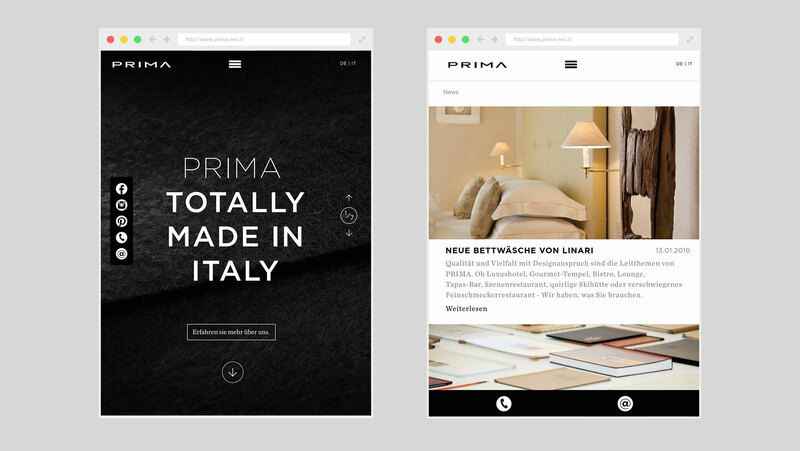 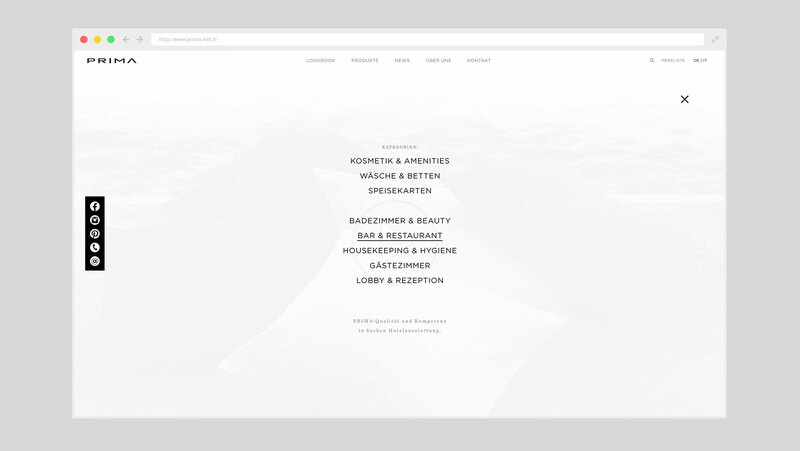 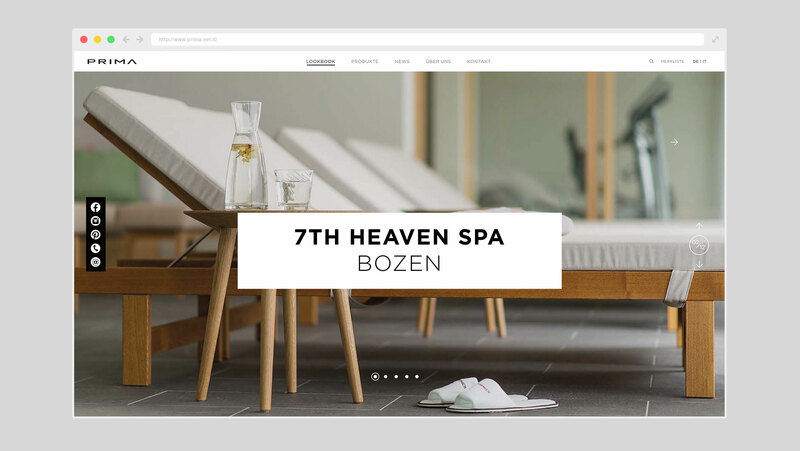 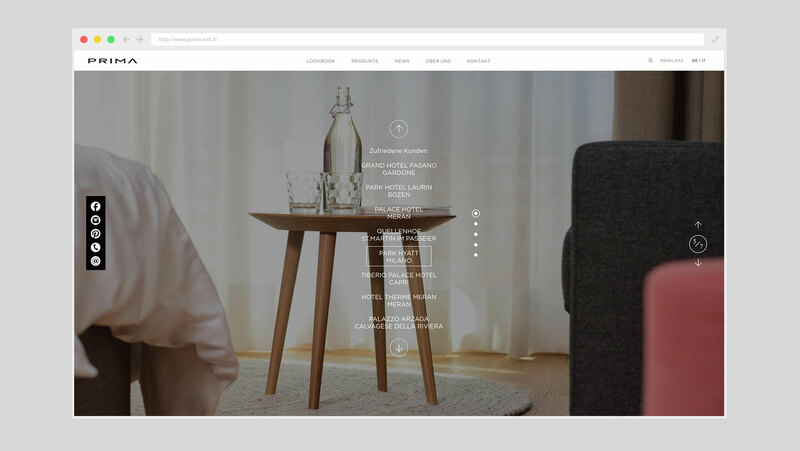 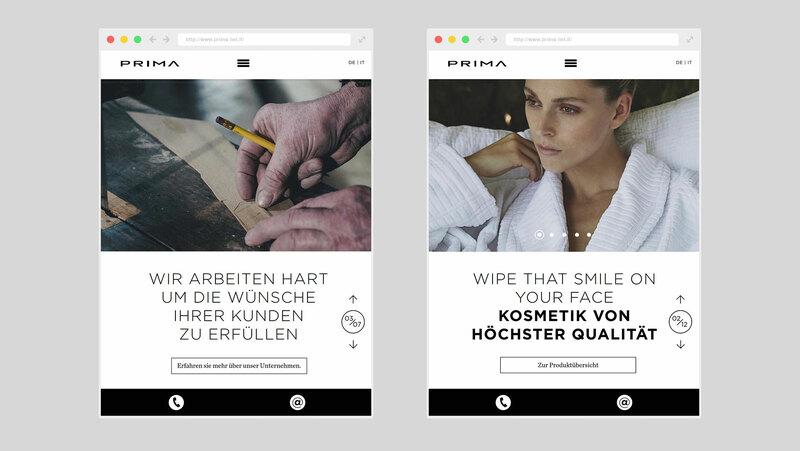 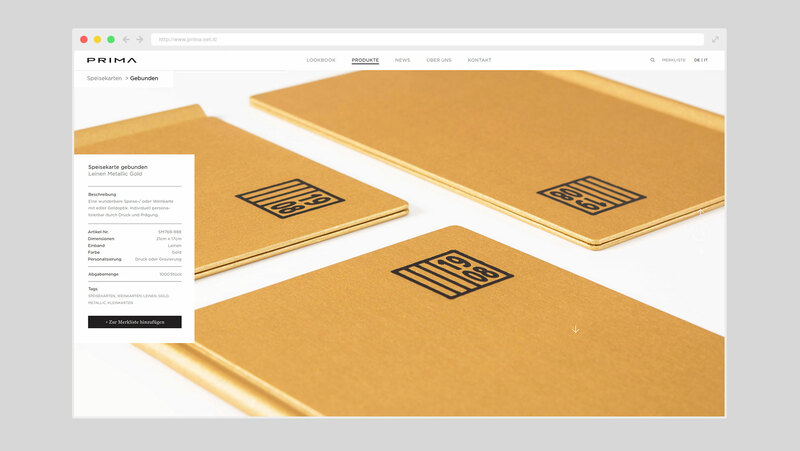 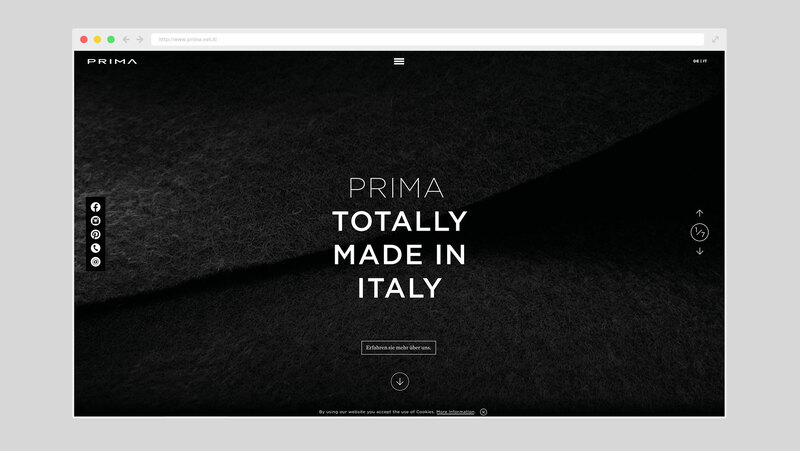 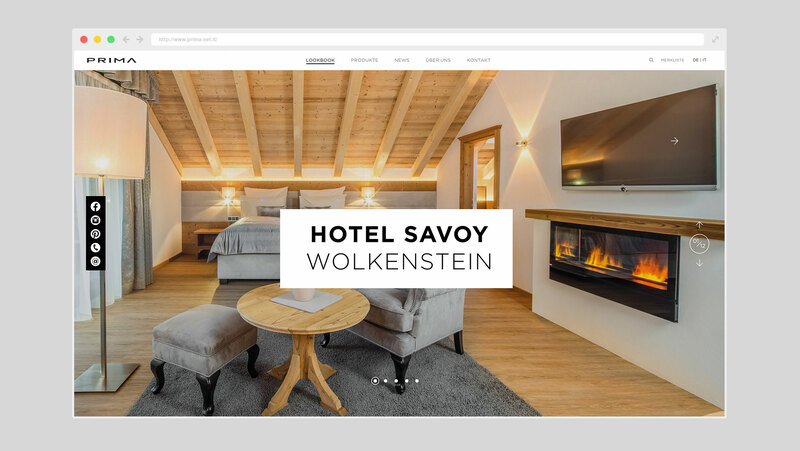 For Bolzano located hotel and restaurant design company Prima we designed a completely new website. 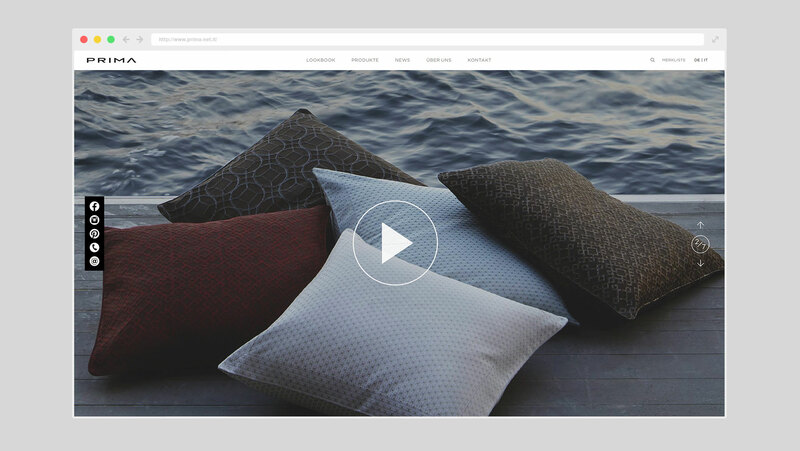 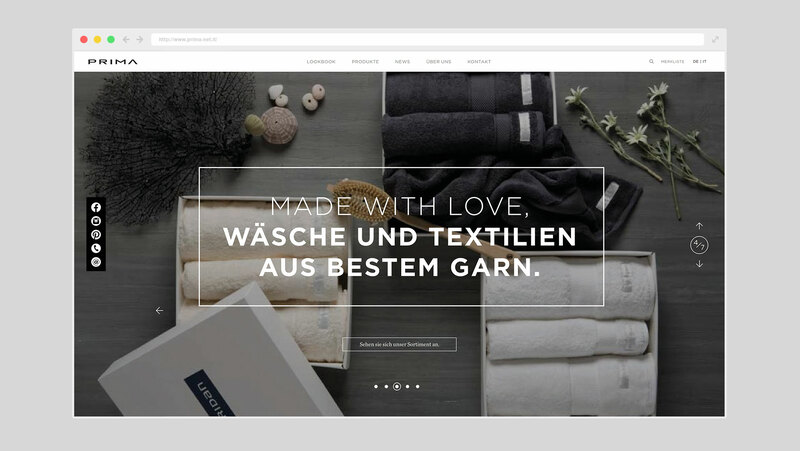 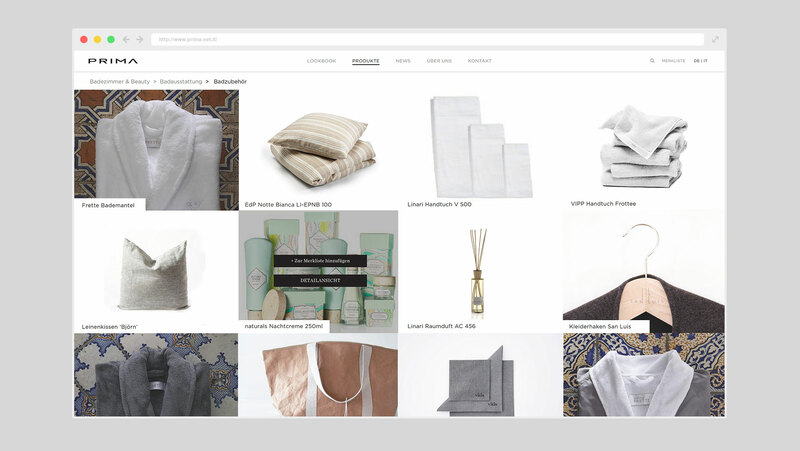 The idea was to engage customers first and then send them to the extensive product catalogue hidden behind a fullscreen landing page telling the story of the company's approach to their craft. 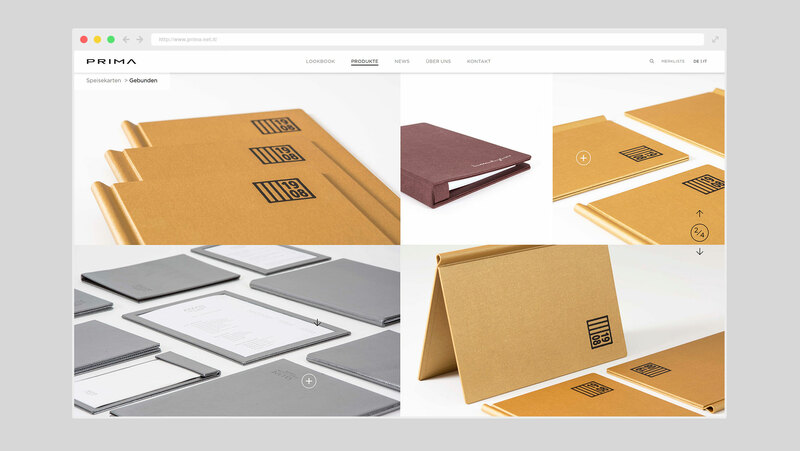 At the same time we refreshed their corporate design by updating their corporate fonts and doing art direction for their new photographic material.